Wherein Shells applies a distraction technique once again. 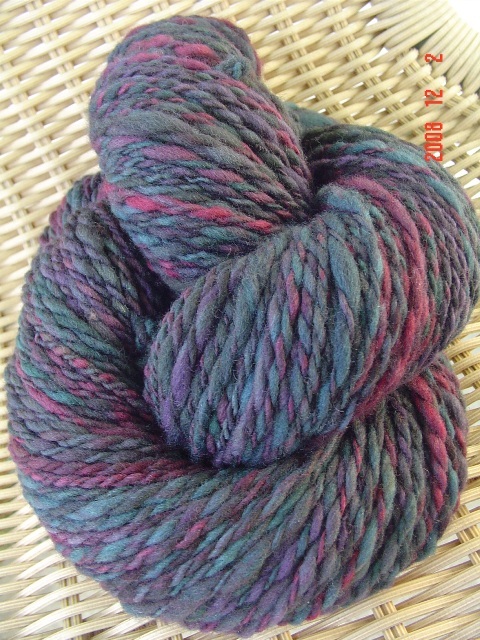 This is 191 yards of thick/thin spun wool top which I worked on over thanksgiving vacation. I found that the wool did not want to submit to my sock yarn attempts, so I gave it up and let it be as lofty and light as it wanted to be. I have another 4 oz. to spin and hope to get as much yardage out of that as well. But, that will be a project for next week…seeing as I will have a finished scarf for you tomorrow!